Your skin is also thirsty in summer temperatures. With the feel-good fragrance, the Summer Flowers toner brings immediate refreshment and a moisture boost. 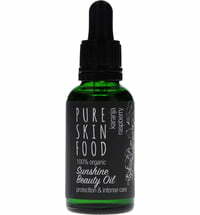 It also supports regeneration and improves the appearance of the skin. At high temperatures, always carry the toner with you. Sprinkle in between and it's refreshing and in a good mood. It also brings freshness, shine and volume to the hair. Lavandula Angustifolia Flower Water * (Lavender Hydrolate), Pelargonium Graveolens Flower Water * (Rose Geranium Hydrolate), Linalool **, Geraniol **, Citronellol **.